Eskay Novelty Corporation has been in business for more than 60 years. We have occupied the same New York City location since we first opened our doors and proudly serve customers near and far through our website and catalogue sales. Our feather company offers the highest quality wholesale feathers for sale at the best prices. Whether you are looking for ostrich plumes, coque sweeps, pheasant tails, peacock tails, fringe, masks, placemats, fans, pads, boas or pinwheels, you will love our selection of fancy feathers and feather accessories. We proudly serve individual customers, as well as fashion designers, costume designers, clothing manufacturers, bridal salons, lingerie manufacturers, craft stores, fashion magazines and many others. Whether you need to purchase a single item or place a bulk order, you can order the quantity you need on EskayFeathers.com. We also send most orders the same day, so shipping is always speedy and reliable. You will love our great selection of dazzling decorative feathers that are available in every imaginable shape, style and color. We make it easy to find the products you are looking for by organizing them first by product type (e.g. feather pads) and then by feather type (e.g. 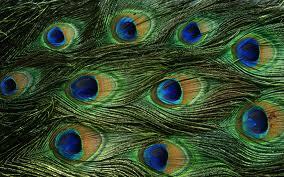 peacock feathers). Within each product category, you will find detailed photos and descriptions to help you select the product that is right for you. If you have any questions, please give us a call at (718) 391-0331. Buy wholesale feathers on EskayFeathers.com and save!